Hello all! I’ll bet you thought this blog was dead! Sometimes I felt this way myself, and it made me terribly sad. I continue to have the same excuses I made in my last post. My commute is long and wedding stuff takes up every single ounce of my remaining energy. I am still REALLY loving my new job. My commute still stinks and it is not getting easier. 5am comes way too soon every day. The good news is that we are in the beginning processes to transition me to working remotely. I am going to start out by working from home one day per week and then I will add on from there. Any break from my commute will be treasured. I hope I enjoy working from home. I have made wonderful friends in my office and enjoy seeing them every day. I mean, my dogs are great and all, but I am afraid I will be lonely. My poor fiancé… I’m sure he will come home from a day at the office wanting some quiet time and I will bombard him with excitement and questions about his day and who he talked to and what he did and what he ate. When I first moved to Arkansas, I would be so lonely on the weekends that I would chat up cashiers, waiters, anyone who crossed my path, etc. desperate for human contact. I imagine it will be something like this. I am very much looking forward to working from home, though. It will allow me more time before and after my working hours to take care of the things I can’t when I am otherwise spending time in my car chain chewing gum and hate-listening to Dr. Laura (it’s disgusting, I am aware). The cake tastings begin this month. These are the things I can get on board with. Overall it’s been tremendously exciting. I was shocked at how quickly I found a dress. We had two appointments that day and the dress I chose was only the third or fourth dress I tried on. We all cried. We found some beautiful dresses at the second appointment, but I didn’t feel like any of them was “the dress”. My fiancé’s mom’s car was still at the first appointment, so I went back that afternoon with just the moms to try it on again. We all cried. Again. I went back the next day with another friend, tried it on again, then bought it. I just didn’t want to take it off. I never imagined myself being one of those brides who would have a reaction to a dress like on Say Yes to the Dress. It seemed silly to me. Boy, was I wrong. It happens. After I bought the dress, I was kind of sad. I knew I made the right decision, but I kind of wish that I stretched out the hunt a little bit longer. Not because I felt like I needed to look at more dresses, but because I have waited to do this my entire life and I was sad that the hunt started and ended so quickly. It made me realize that I really need to treasure all these moments. We will be engaged for such a short period in our life together and we only get to do all these things once. I am trying to think of ways to make all of the little wedding tasks a little more special and a little more memorable for us. Back to the trying on of the dresses, let’s talk a little bit about “The Wedding Diet”. It’s been going swimmingly. I was truly dreading trying on dresses. My mom and I popped into a David’s Bridal shortly after we got engaged to try on dresses for funsies. I felt like a fat cupcake and I knew I would not look forward to trying on dresses again until I lost some weight. My goal was to lose 20 pounds before I tried on dresses again. I reached that goal at my Weight Watchers meeting that morning. I was actually down 22.6! My meeting was at 9:30am and my first bridal appointment was a couple blocks away at 10:15am, so it was a great way to help build my confidence for the day. It’s been two weeks since I bought the dress and I am officially down 25 pounds! I am going to share a shameful photo with you. I have been trying to take progress photos. I was way too ashamed/didn’t think to take any actual before pictures. Honestly, it’s been years since I could stand to look at or even take a full body shot of myself. The photo on the left was after I had lost about 10 pounds. The photo on the right is 15 pounds later. Obviously, posting a photo I hate of myself it not easy to do, but let’s talk about Weight Watchers for a sec. It’s a plan that REALLY works for me. Not just to lose weight, but to improve my life and still be able to eat do the things that I like to do. For example, last night I wanted Mexican food. And wine. And beer. Wait, no. Wine and Beer. And I wanted to check out a new bar. So that’s what we did. I counted every chip that went into my mouth, I enjoyed my two drinks, I tracked my points, and I ended my night knowing that there was nothing I needed to feel guilty about. I didn’t “cheat”. I stayed on track with the plan. I lost 25 pounds by still eating Taco Bell and pizza and still having the occasional drink. There’s a reason they call this plan a “lifestyle change”, folks. I compared the most recent photo to one that was taken just three weeks ago and there’s a big difference just in that short amount of time. 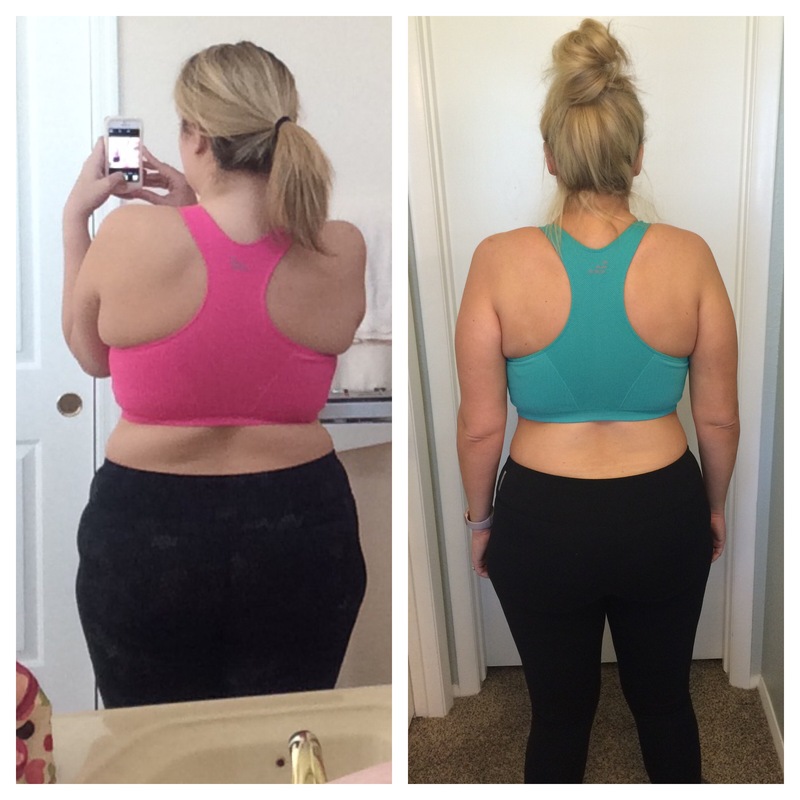 I can’t wait to see what the photo comparison will look like once I reach my overall goal! I am halfway to my wedding goal weight. I have until August to lose the rest and I think I can do it! My dress arrives in August and that’s when I will need to begin alterations, which is why I will need to stop losing weight. I don’t want to constantly have to take my dress in to keep up with my weight loss. 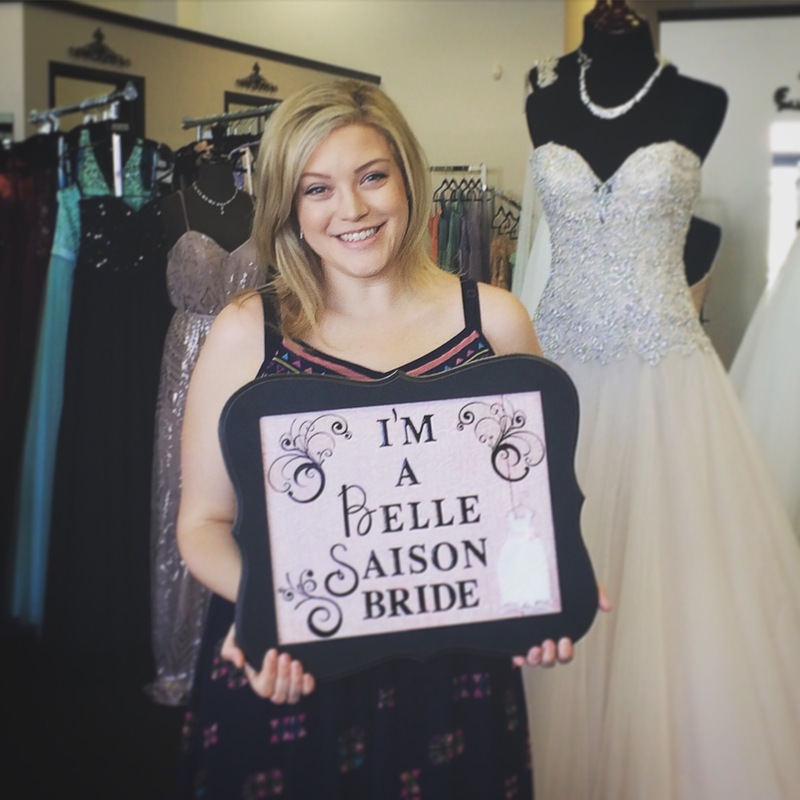 Wedding dress alterations are expensive enough! I really hope to write on this blog more going forward. It’s been a billion years since I’ve done a makeup tutorial. I haven’t even been able to shoot one on my new, fancy camera yet. New as in I bought it on Black Friday. That’s how bad I’ve been about this. I miss writing about my Birchbox and Ipsy treasures. I miss writing about my pups. I miss writing about cooking. I miss making Stitch Fix posts. To those of you who still read this, who are still subscribed, or who still jump on to check if there is anything new, then bless you. I will try my best to keep this blog updated! Way to go girl! You look gorgeous and I’m sure you will meet your goal by August. Keep it up and never stop working hard. Weight Watchers has changed my life and I am so happy I joined it when I did.